Diageo plc (DEO) engages in producing, distilling, brewing, bottling, packaging, distributing, developing, and marketing spirits, beer, and wine products. The company offers a range of brands, including Johnnie Walker scotch whiskies, Smirnoff vodka, Baileys Original Irish Cream liqueur, Captain Morgan rum, Jose Cuervo tequila, JeB scotch whisky, Tanqueray gin, and Guinness stout, as well as Smirnoff ready to drink products This international dividend achiever has increased distributions for over one decade. Over the past decade this dividend growth stock has delivered an annualized total return of 9.40% to its shareholders. 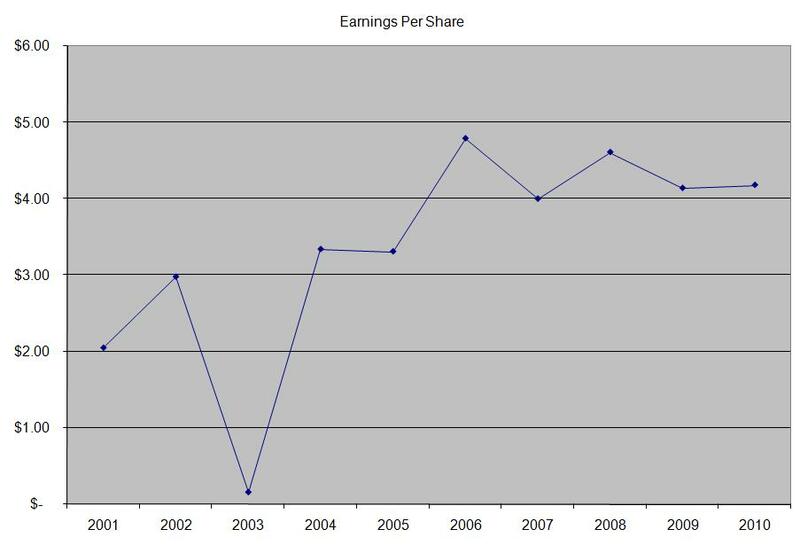 The company has managed to deliver an average increase in EPS of 8.20% per year since 2000. Analysts expect Diageo to earn $4.97 per share in 2011 and $5.50 per share in 2012. This would be a nice increase from the $4.18/share the company earned in 2010. The company’s premium spirits brands have been popular with US consumers who traded up to these premium brands. The North American market accounts for 34% of the company’s sales, while emerging markets account for 33% of its sales. Emerging markets have been a bright spot, as the company has been able to achieve strong double digit growth there. The company competes based on brand loyalty and offering quality products. It’s a typical consumer play where it tries to boost organic sales while also acquiring premium brands in order to further boost its competitiveness. Cost restructurings and efficiencies are another part of Diageo’s strategy for future earnings growth as well. 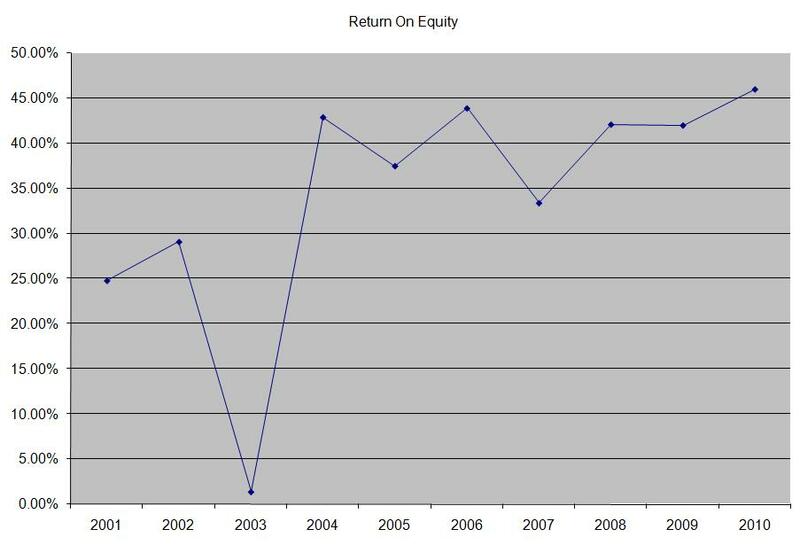 The company has a high return on equity, which has remained above 33% for the latter part of the past decade. Rather than focus on absolute values for this indicator, I generally want to see at least a stable return on equity over time. The annual dividend payment in US dollars has increased by 5.70% per year since 2000. A 6% growth in distributions translates into the dividend payment doubling every twelve years. With international dividend achievers, it is important to look at the history of dividend increases in the local currency, in order to avoid any confusion about the volatility of US dollar dividend payments, caused by currency fluctuations. 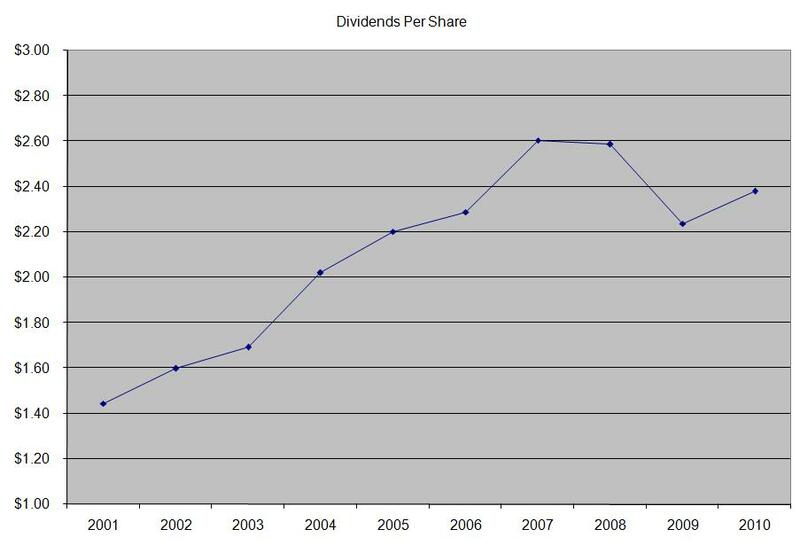 The company’s dividend history in British pounds shows consistent pattern of distribution increases since 1998. Another fact to look for is that Diageo pays an interim and a final dividend, which are not equal in amount. In order to avoid confusion, dividend investors should look at the full year payments in order to determine whether the company is an achiever or not. 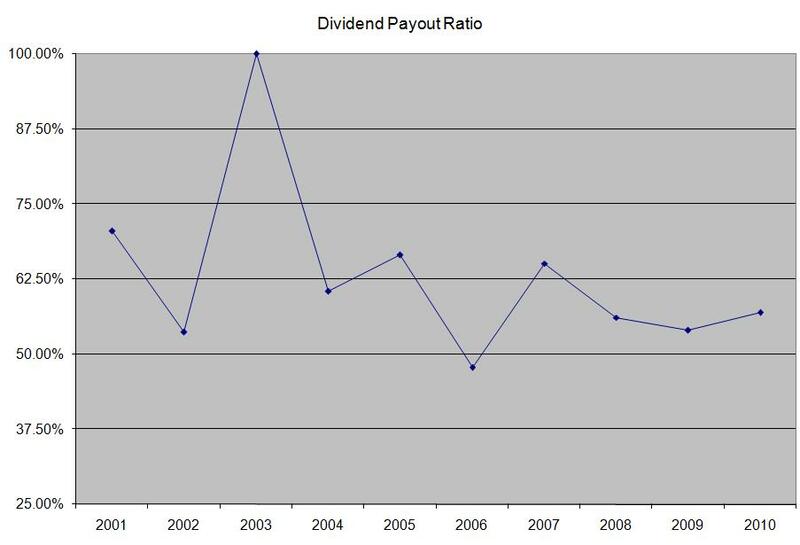 The dividend payout ratio has increased slightly over the past decade, having exceeded 50% in 2006 and 2007. A lower payout is always a plus, since it leaves room for consistent dividend growth minimizing the impact of short-term fluctuations in earnings. Currently, Diageo is attractively valued at 17.50 times earnings, yields 3.30% and has a sustainable dividend payout. I would continue monitoring the stock and will consider adding to a position in the stock on dips.